From a startup company to a leading data-influenced creative agency. Driven by the desire to create. 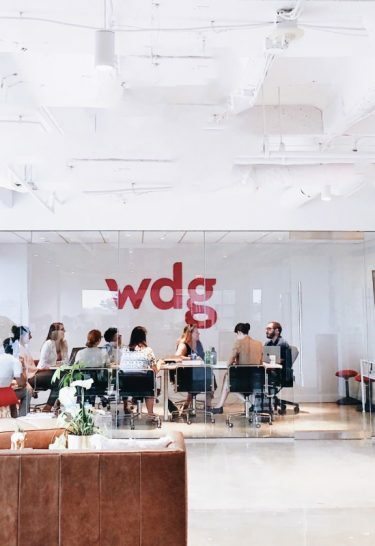 WDG has a talented staff that has worked on amazingly creative projects throughout our tenure as a premier digital agency, but an integral part of our success has always been growing and learning from our many corporate challenges over the years. I am the founder of WDG, Ab, and in order to understand where we are today and where we are heading tomorrow, we must go back to the beginning. The transition from freedom to restriction was not what I expected — and certainly not what I wanted. So, I decided to build something on my own. A vision with a real, true purpose. 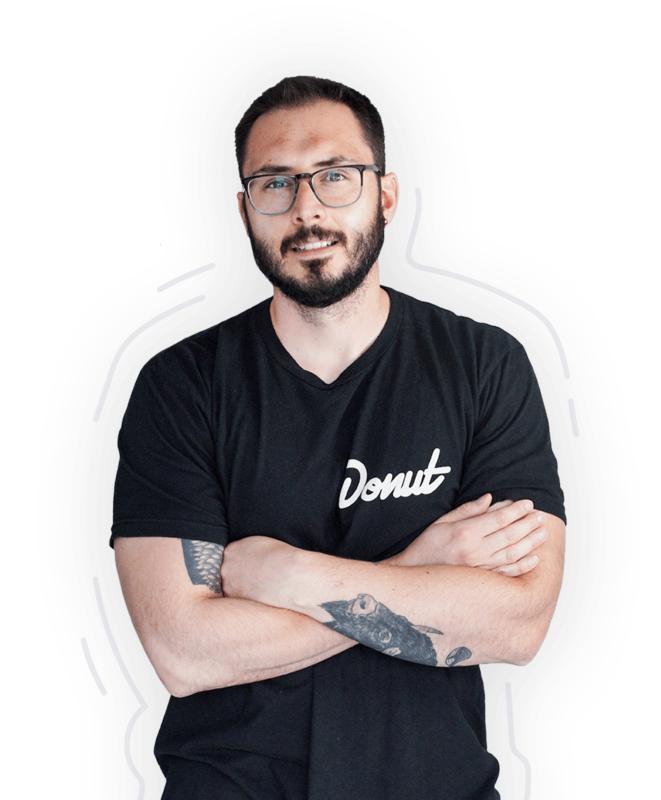 Even as a young teenager, I was motivated by and interested in business — from waiting tables to delivering paper boxes, from buying old computers to then repair and resell, I’ve done it. And my hunger, hustle and entrepreneurial spirit only continued to grow, as did I. After graduating from Virginia Tech and barely twenty-one years old, my journey started here in Washington, DC with a “Big Five” firm as a consultant. Though, my first real job as an adult was short lived. Three months in, it became clear that the slow ascent up the corporate ladder was not for me — professionally, I’d rather fly than climb. And so dreading every Monday morning, every Metro ride into the city, every walk to the off-site location where I was assigned, I decided to make a change. At twenty-one years old, I knew very little about life, but I knew instinctively that I had to leave and find my own way. My career began in earnest at Responsys Oracle, a thriving, innovative data analytics and marketing technology firm out of Silicon Valley. It was here where I learned the value of collaboration, leadership, entrepreneurship. It was here where I learned to show immediate action and solutions and what it means to treat colleagues as an integral part of the team — we are all MVP’s, and every client a VIP. My time at Responsys Oracle was a dream — the ability to meet with clients, work with them on conversion-driven strategies, and all the while having a true influence on the company’s bottom line. But like most dreams, it proved ephemeral — a professional high that unfortunately lasted only a few years. When the dot-com bubble burst, I was left with only two options — ride out the wave or search for calmer waters, and thankfully I knew how to swim. I accepted an offer at a tech startup in New York City and at the time, it seemed like the right choice. But I quickly was met with uncertainty, as the casual West Coast ideology I had become accustomed to was put on ice and usurped by an East Coast rigidity, along with the stifling tedium that came with a stationary desk job. 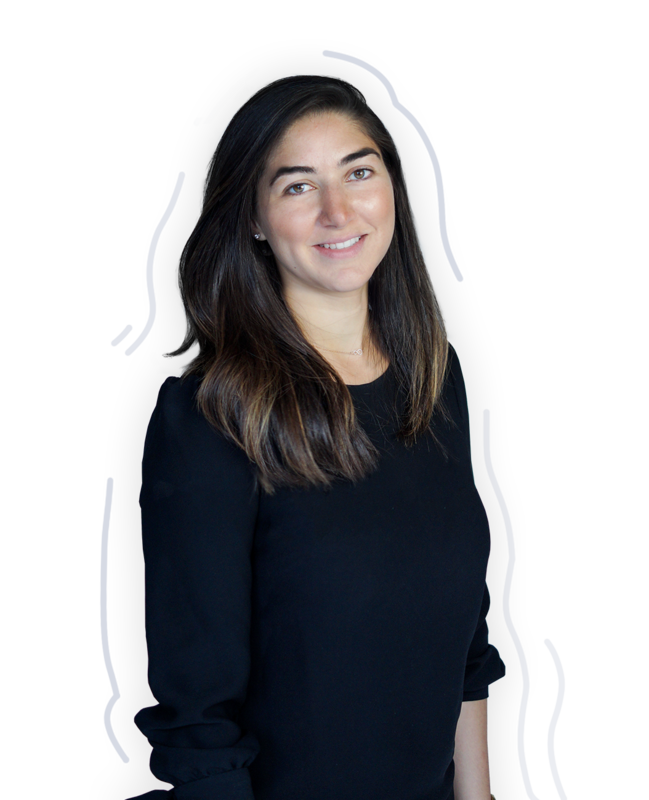 Just as I knew at twenty-one to leave my initial consulting job, I knew I had to leave New York — if it’s not something that makes you happy, then it’s best to move on and move quickly. I returned to Washington, DC without a job or foreseeable future. Though in this unshakable moment of vulnerability, I held onto the realization that I valued freedom and autonomy over everything else. Everyone was involved, it was collaborative, it was fun. And everyone did whatever they could to get it working. In the wake of this epiphany, GovTrends was born and success was found on Capitol Hill working on government digital projects. But after six years, the early thrill had faded and my team and I felt that our creativity was suffocated in this niche environment. The whole experience helped us understand our strengths, weaknesses and revealed what we were looking for next: a talented group of people to create forward-thinking internet experiences for medium to large organizations. So we continued to work hard, but with an exit strategy in mind. GovTrends, our baby, was acquired and our new digital agency, WDG, was created. Typically, the first client tends to be small but in our case, our first client was Shenandoah University. An amazing client with a tremendous amount of patience and professionalism. Did we make mistakes? Yes… quite a few but we never gave up, and our client never gave up on us (Scott and Marsha, if you are reading this, a million thanks for pushing us and giving us the chance to become who we are today). From Shenandoah University to the American Red Cross, the transition away from the Hill became the new foundation for WDG. We formed an intimate community of extremely dedicated, passionate and talented individuals, yearning to take on challenging and rewarding work. We operated without barriers and took a nimble approach to design and development. Our determination, along with a solid leadership team in Homiera, Dario and Vajaah, and the blessing that we’ve had in hiring the best talent (not to forget amazing and caring personalities) have helped WDG to become a key creative agency in the District. The agency life is both terrifying and exhilarating at the same time. As we took on more clients, the complexities that came with them challenged us in every way possible — every client is unique and every solution must be just as unique in order to solve their needs online. From the beginning, everyone adopted the mentality to never give up, and we developed new skills as we took on tasks outside of our comfort zones. We created work we were proud of with our friends and never looked back. It was always our attempt to wholeheartedly do everything we can for the people that we work for and the people that we work with. With great success, comes great responsibility. 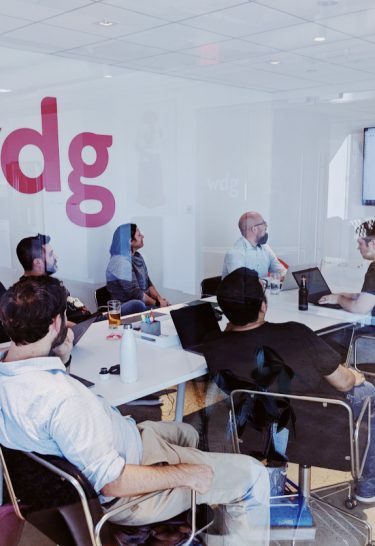 Today, WDG has moved to a strategically located office, growing its team and expanding its services, but is underpinned by the same plucky spirit driving it towards success. Our work is polished, our decisions are data-driven, and we still provide the same excellent client services. Our mentality has not changed. We have a culture of showing immediate action and solutions — mistakes happen, but what is paramount is that every client, every colleague is more important than our board or our own ego. During our time growing and evolving, we found we needed something to keep our hearts in the right place and give back to the vibrant DC community. That’s why we founded ‘GiveBack DC’, a feel-good initiative serving local organizations in need. When we held our first Hackathon in 2012, our goal was to use our strengths as strategists, designers, and developers to create premium websites for local charities and nonprofits who couldn’t otherwise afford them. Since then, we’ve expanded into many other causes and have donated over $500,000 in services through major events in DC… If you have any giving back ideas that you believe we should explore, please share, as we are always looking for where/for whom we can provide the biggest impact. Expanding and defining the vision.